Our strategic focus: Business fields. 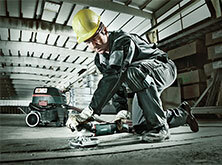 In doing this, we continue to follow the vision of a cordless jobsite. 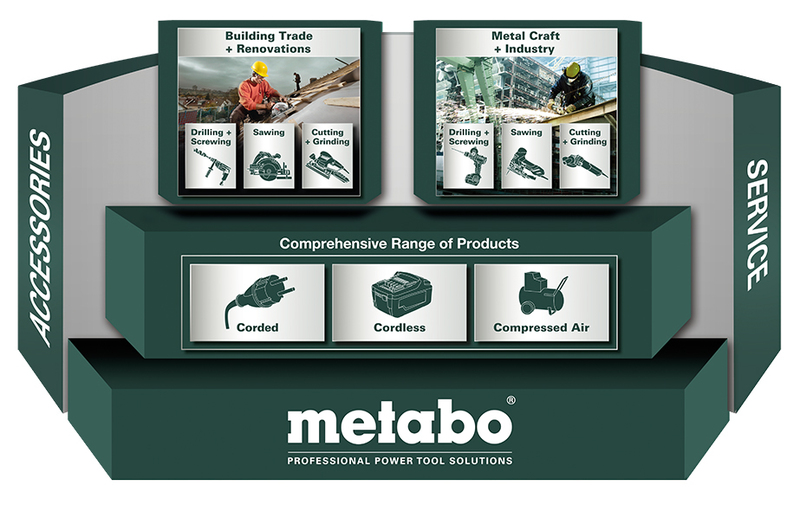 Consequently, for all relevant applications, you will always find a cordless solution in the Metabo range which meets the highest expectations in terms of power, quality and reliability. Being an all-rounder, we do not only offer power tools for all common applications, but we also meet more specialised requirements with our competence products and system solutions. This applies in particular to the core target groups of metal trade and industry, and construction trade and renovation. In parallel to this of course, we develop mains driven machines and also air tools and compressors, offering an extensive range of system accessories and consumables to complement each choice – ultimately it is the users decision how they want to work in order to maximise their productivity. All wrapped up: Solutions for construction trade and renovation. 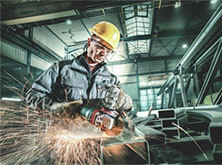 Hardened in practice: solutions for the metal trade and industry.